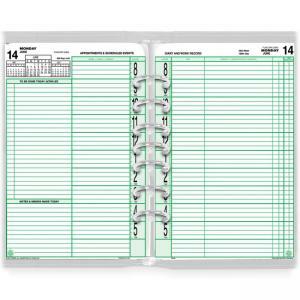 Media Size : 5.50" x 8.50"
Day-Timer 92010 2 Pages Per Day Original Calendar Page - 5.5" x 8.5"
Refill is designed for use with the two-page-per-day original Day-Timer calendar set. Ideal for people who bill for time. Two-page-per-day spreads have a place for lists and the appointment times from 8 AM to 6 PM on one page and a roomy timed diary record of your work on the other page. Hours are neatly divided into tenths and quarters. 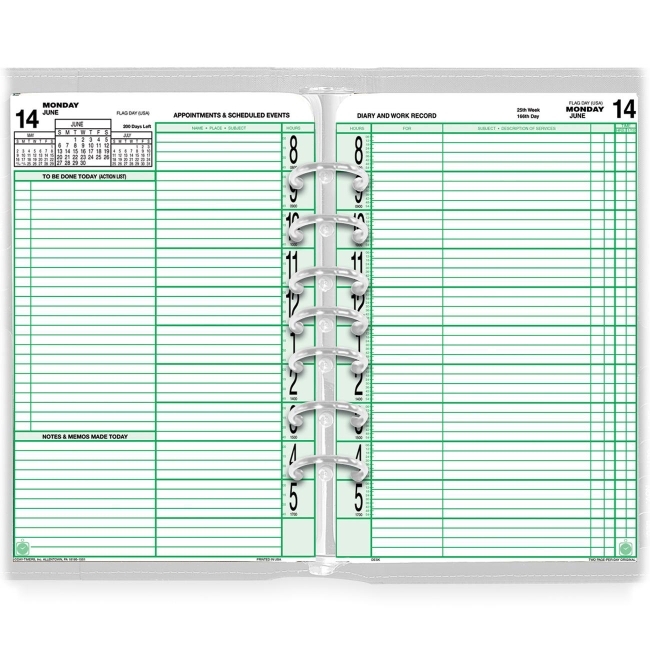 Desk loose-leaf format includes address/phone pages, advance planning pages, reference pages, 12 monthly tabbed calendar dividers, 12 monthly auto mileage/expense forms, and a vinyl page locator. Planning pages range 12 months from January to December.